Change a life. Start with a child. Thank you for your interest in supporting our efforts to serve our youth. Each year we depend on the generosity of many individuals, corporations, foundations, civic organizations and government funding to support our annual operating needs. We provide scholarships for those who need assistance with our program fees. The actual cost of providing services is approximately $1,000 per child. 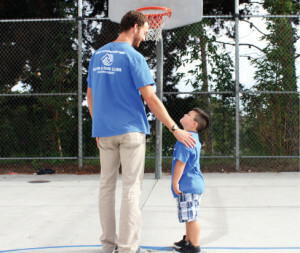 A contribution of any size will help make up the difference. Since 79% of our budget goes directly to youth programming, you can be assured that your investment is guaranteed high returns in the life of a deserving young person and for our community as a whole. We also encourage in-kind gifts, which help us serve the children! A $20 donation provides a 1/2 hour swim lesson. A $75 donation provides a child after-school services for a week. A $100 donation subsidizes a performing arts or summer camp scholarship. A $200 donation provides an athletic scholarship for a child to play in the BIG Eight Middle School Sports Program. A $450 donation underwrites a full year worth of specialized programming for a member including college preparatory programs, athletic league experiences, arts & crafts classes, and summer camps. Or send your donation to: ATTN: Development Dept. In-kind gifts of products or services enable us to provide hope and opportunity to our members, help us keep our Clubs accessible and affordable so that we can reach our youth, and allow us to host spectacular events that raise money for our work while showcasing the accomplishments of staff and members. Whether it is tickets to a sports game for our members, printing services for an invitation, strategic planning consulting expertise, or food for our Clubs, in-kind gifts allow us to reduce our expenses and direct more of the money we raise to direct services for youth. Office furniture, including folding tables, filing cabinets, desks & chairs, etc. 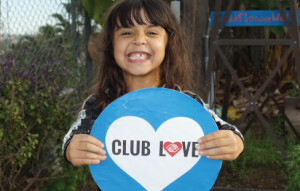 Boys & Girls Clubs of San Dieguito is an IRS 501(c)3 nonprofit organization. All or part of your contribution may be deductible for Federal tax purposes.